Hello Suns Fans kung meron pa dyan? July na and I figured gawa na ako ng bagong thread for this incoming season. So Phoenix acquired Tyson Chandler. I have mixed feelings for this as I don't see him running with the players pero maybe he is there to get the defensive rebound and then pass the ball as quickly as possible for our run and gun plays. 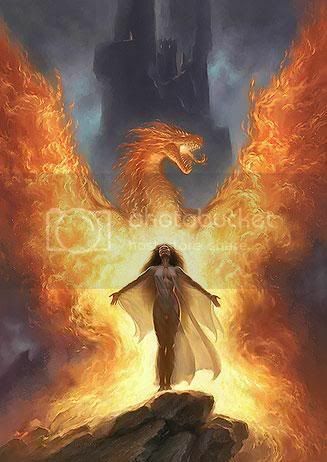 I don't know what is in store and the dragon may be gone but I hope the Phoenix will rise again! now they are also in play for LMA. LMA is just playing with the Suns. He only wants more offers to come to him so kunwari may interest siya sa Phoenix. The Suns is still a developing team and I don't think that is really what he wants. bye bye marcus morris and others for a future 2nd round pick in 2020 (tanda ko na nun potek ). But our interior defense and post presence has been greatly amplified, thanks to Tyson Chandler. Ano pa mga off season moves ng suns na pwede para matapos na ang half a decade playoff drought? I already made a thread just two days ago. Baka pwedeng merge na lang yung dalawang thread? Any mods who can do that? LMA is a very long shot. Long, long, long shot. He is not going to join the Suns. Phoenix should have a plan B.
Marcus Morris, I think, is the better shooter of the twins and he is a big loss for the team. Ang fault lang nila ay maiinitin ang ulo ng dalawa. Malamang sumunod din yung kapatid niya at mawalan na ng gana or mag demand na rin ng trade. With the Spurs' good acquisitions from the Free Agency, I think it's safe to say that we are just going to be playing as spoilers once again and develop whoever is going to be in this 2015-16 roster. I hope we play good spoilers for the east team contenders. Yup. I hope we can finally beat Dallas and Portland easily. I hate to see Green go but now I see why the Suns set him free. At least nasa Heat na siya at nasa East. Mas madali silang makapasok sa playoffs. Markieff Morris wants out of Phoenix. The Suns power forward said he feels disrespected by the way the team handled the July 9 trade of his twin and former teammate, Marcus Morris, to the Detroit Pistons. Now he is demanding a trade of his own. The North Philadelphia native, who starred with his brother at Prep Charter and Kansas, is determined to be dealt. One thing for sure, I am not going to be there, Morris said Tuesday after a morning workout at Competitive Edge Sports in King of Prussia. In September 2014, Morris signed a four-year, $32 million contract extension that kicks in this season. His brother signed a four-year, $20 million extension. The two settled for less money than they would have received as free agents in order to remain teammates. If Markieff Morris refuses to play, the 6-foot-10, 245-pounder knows that the Suns can suspend him without pay if theyre unwilling to release or trade him. He is scheduled to report to training camp at the end of September. Ive got to show up. No question. said Markieff Morris, who is scheduled to make $8 million this season. You cant do that. I will be a professional. Dont get me wrong. But it wont get that far. Of the latest deal, Markieff said hes not disappointed that the Suns traded his brother to the Pistons, where he is likely to get more opportunities to succeed. But he is disappointed in how the twins were notified. They said they learned of the trade while on vacation out of the country with their girlfriends. Marcus Morris, Reggie Bullock, and Danny Granger were traded to the Pistons in exchange for a 2020 second-round pick. If you are going to do something, do it, Markieff Morris said. The GM, Ive been there longer than him, the coaches, everybody. Ive been there the longest, and I dont get the respect to be like, Yo Keef, we are going to trade your brother. You are our future power forward. Im the future power forward. Im the premier player of the team. But as Markieff Morris sees it, this is one of many moves that turned a potential playoff team into a rebuilding squad. I cant put my finger on it, honestly Markieff Morris said of the Suns breaking up the team. Stuff wasnt that bad. Phoenix is trying to make it seem like people were in there just acting the [freak up. heck] no. We had everything under control. And the twins dont want anyone to believe that theyre only upset due to being split up. The bother feel betrayed due to being the leaders of the team. The voices we brought to the locker room and how we kept the guys together. We were a passion of that team. But he is ready to move on. Suns management fault. I think. Who's to blame? I think Suns reneged on their promise to keep the morris twins. Apparently, the morris twins took paycuts to stay together. Meanwhile, keef morris can't stop whining. Hmmm. Parang bata tong si Keef (pati rin ata yung Marcus). It looks like it's going to be another uphill battle to get that 8th West playoff spot for this team. Those whiny clippers deserve that. Go Suns! Basta ma reach lang ninyo ang 8th spot sa West, ok na. Akalain mong nanalo pa rin. 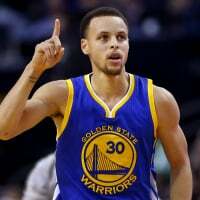 Naki uso na sa GSW na come from behind win. Nilalabanan ng Suns ang Clippers sa pagiging choke city. I miss Green, Dragic and Thomas.